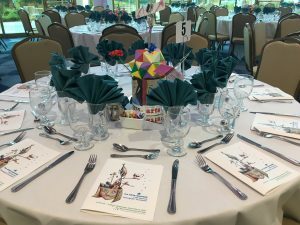 Learn about the 17th Annual Principals’ Luncheon! 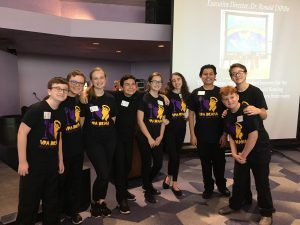 On Wednesday, December 6, 2017 at the Van Wezel Performing Arts Hall, the Arts and Cultural Alliance and its Arts Education Task Force presented the 17th Annual Principals’ Luncheon titled The Arts = Success. Over 200 people gathered for the event, including Sarasota County Schools’ principals and district leadership. 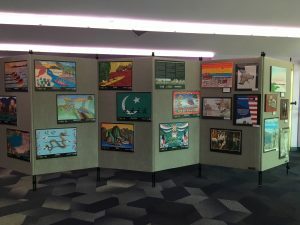 The interactive event featured performances by Booker Middle School VPA students and an exhibit of high school art and the 2017 World Rowing Championships/Embracing Our Differences art work. 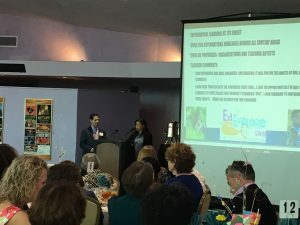 Among many luncheon highlights, a film was also presented highlighting a panel of successful business leaders with arts backgrounds: Dr. Alyssa Shulman, Judge Charles Williams, Realty Executive Jennifer Putnam, and Architect Javi Suarez. 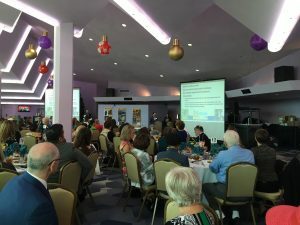 A status of arts education in Sarasota County Schools was also presented. Enjoy some photos from the celebratory day for Arts Education in our schools!